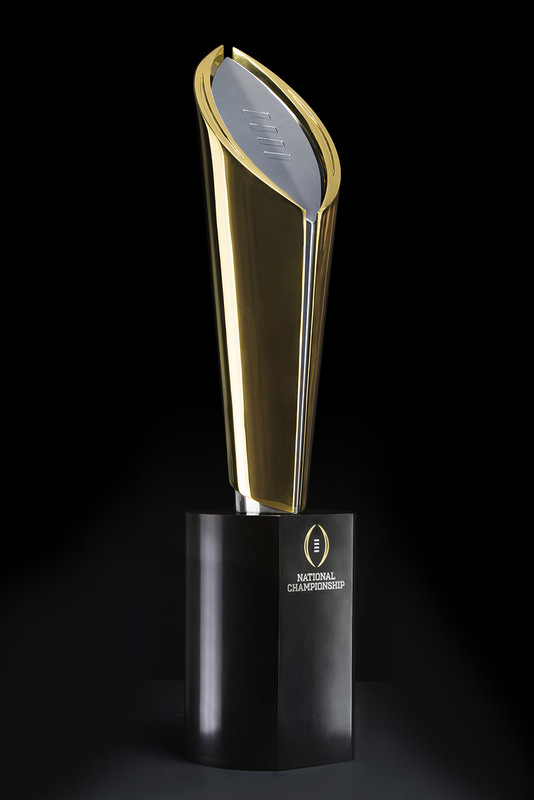 The College Football Playoffs have been in existence for less than a full season. In its short life, this newborn system is already facing a daunting dilemma that is tarnishing its credibility before it can even name the inaugural Final Four participants. Marshall University is entering the final stretch of the season having defeated every team they have faced so far. 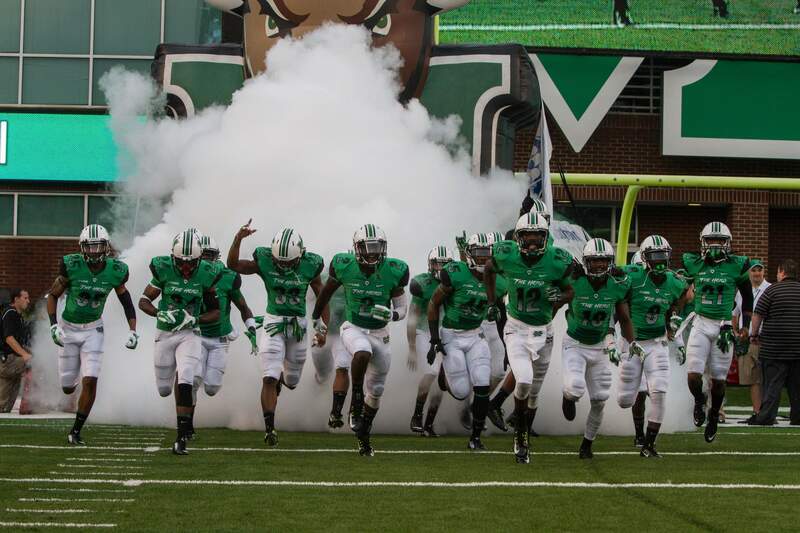 Unlike their counterparts in the AP/Coaches’ polls, Marshall does not belong to a Power Five (P5) conference. Marshall also has an incredibly weak strength of schedule (SOS). For these reasons, they are continuously getting snubbed in the Playoff Rankings. 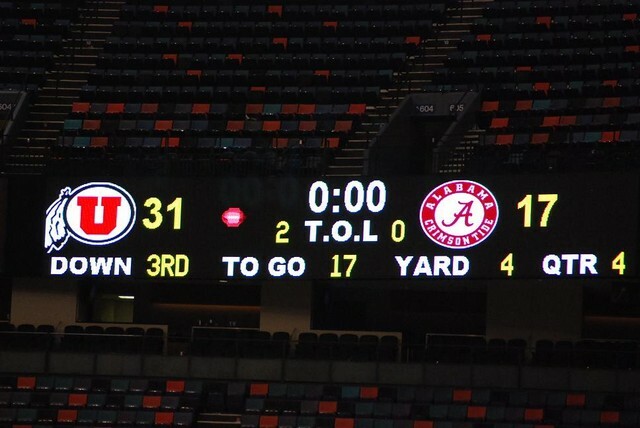 This in turn only rehashes old wounds in the never ending debate on the college football playoffs. The new playoff format arose out of a previous system that found itself hammered in controversy due to its inability to adequately solve two problems. The first problem being how to successfully decide which of the nation’s most elite teams will have an opportunity to play for a national championship. The second problem is how to incorporate all the conferences into a playoff system that gives each of them a fair chance to win the ultimate prize. Discussion over how the postseason should be run is a tug of war between these two problems. Traditionally, the schools that do not hail from power conferences (currently known as the “Group of Five” or G5) have struggled in this tug of war. These schools, with a perceived weakness in strength of schedule were left out of contention for the chance to play for a national title. During the BCS era, there were seven instances where a non-power team went undefeated. Of these seven teams, six of them played an opponent from a power (BCS) conference. Four of these teams played multiple opponents from BCS conferences. Regardless of whom they played, the end result was the same. Not one of these programs had a chance to win a national championship. Their title hopes were over before the season even began. Watching these teams time and time again not even have the chance to prove themselves was treacherous. The very fact that not a single non-BCS program broke through the wall proved that it wasn’t just these seven teams barred from title prospects, but every school that wasn’t in a BCS conference. I was optimistic when it was first announced that a four-team playoff decided via committee would be implemented. My theory played along with the idea that with two additional slots in the postseason championship, teams like Boise State or UCF will have better odds at snatching a spot. Past history was on my side. The final two “BCS Busters” finished 4th and 3rd respectively in the BCS rankings. Non-BCS schools were getting increasingly better access to national title contention. On top of that the threat of an anti-trust lawsuit would surely keep the Power Five (P5)* in line. I truly thought that for the first time the non-power schools would have a legitimate shot at a national title. But in the back of my head, I still had concerns. There were whispers among various Group of Five (G5) circles that this new system would be exploited by the P5 to outcast their G5 counterparts from participation in the playoffs. My fear was that this would turn out to be true. There were 18 instances when a non-BCS team went 10-0 in the BCS era. Every single one of those teams was ranked in the BCS. Not only were they ranked, but also ranked particularly high. All but three of them were ranked inside, or near the top ten. Under the BCS system, the discussion around Marshall would be “should they be in the top ten?” Even under this new playoff system where pollsters have a greater emphasis on strength of schedule than ever before, Marshall is 18th in both the AP and Coaches’ polls. And then there is this fun little link (1) that compares computer rankings, polls, and power rankings from media various members. With over 100 different sources contributing rankings to the data, Marshall is still ranked 18th. Every week that Marshall gets snubbed, my frustration with this only grows. History shows that Marshall should be ranked. This is not a question of should Marshall be in the bottom of the rankings, or unranked. That is a consolation prize at best. The issue is should Marshall be relatively close to the top four right now? The answer to that question is absolutely. I didn’t reach that conclusion on the principle that Marshall deserves a playoff spot because their SOS isn’t an issue. I base it on the principle that no team should be mathematically eliminated from national championship contention based purely on SOS. Following the philosophy of survive and advance, if they win every game they play, then their title hopes should still be alive. Any philosophy contrary to that is unethical and counterproductive to a fair and open postseason. The downside to this philosophy is rewards teams that schedule creampuff teams. However I consider that the lesser of two evils when we currently have a system that eliminates undefeated teams from playoff contention. *Under the new system power schools belonging to BCS conferences are now called P5 conferences/schools. Non-power schools such as Marshall which were referred to as non-BCS conferences under the BCS system are now called “Group of Five” or “G5” schools/conferences. Then there is Louisville who conveniently had to eliminate Marshall from their schedule this year because they “changed conferences.” Add to that Marshall soundly defeated Maryland in a bowl game last year. Imagine if the makers of the system had to work at their job with no reward insight, but got a pat on the head and were told they did a nice job. Think they would be around long? Marshall’s one bright light in a dim world is knowing in the next few years their supporters will get to watch Cato, Johnson, et al run over the players from the “big” schools when they make the NFL. It will be so sweet to watch. And, one final note: if anyone watches coaches behavior on the sidelines, they must realize what a great coach Marshall has. He is a teacher, mentor, and coach. Thank you players and coaches for giving Marshall fans such a great year!